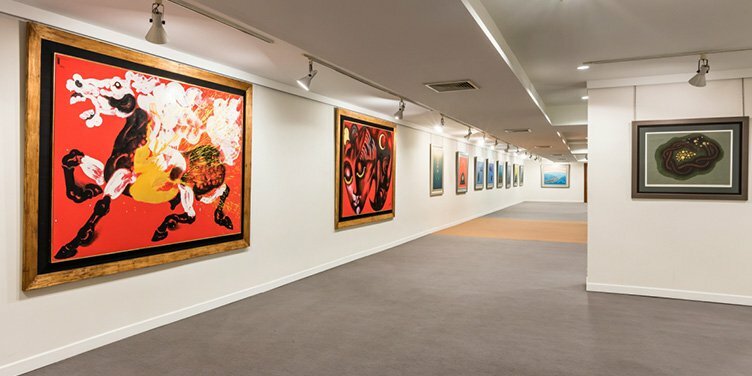 Sombat Permpoon Art Gallery Bangkok founded in 1979 by one of Thailand most prominent and renown art collector Sombat Wattananthai is a modern contemporary art gallery. Exhibiting the most extensive private collection of thai art spanning from well stablished to new artists. The actual art gallery is in a 6 storey building and gather more than 10.000 works of art. Since her success Miss Sombat opened 5 other galleries, River City plaza, Sheraton Orchid hotel in 1984, Dusit Thani in 1985, followed by Intercontinental hotel in 1992 and Nai Lert park hotel in 1993.